La Perla De La Bahia - Luxury 2 Bedroom Apartment near Duquesa . Beautiful Executive Property in Quality Resort, Several Pools including One Heated, Large Terraces, Tasteful Furnishings. Right on the Beach, Nearby to The Lively Duquesa Marina. Jardines Del Golf - Luxury 3/4 Bedroom Town House in Duquesa Sleeps 6/8. 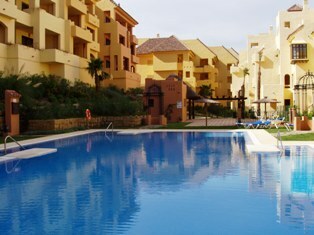 Bright and Airy Large Townhouse, Shared Pool, Large Terraces, Nicely Furnished. Near to Beaches, Golf and The Lively Duquesa Marina. > La Vizcaronda, Duquesa, Beautiful Large Apartments, Good Range to Choose From Furnished or Unfurnished Apartments, 3 or 4 bedroom, full aircon, master ensuite with jacuzzi bath, Golf, Pool and Mountain Views. 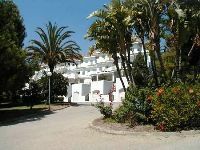 Duquesa Village, Beautiful Apartments, Good Range to Choose From Furnished or Unfurnished Apartments,2 bedroom, full aircon, master ensuite with jacuzzi bath, Golf, Pool and Mountain Views. Ideal Gibraltar Commuter.